Poros is a really beautiful island with neoclassical and Venetian architecture, authentic villages and wonderful sandy and pebble beaches. There are many secluded coves within walking distance of the town, with longer hikes that will take you to the remains of an ancient temple. Poros is made up of two 'islands', Sphairia is the smaller one and has Poros town and port built around the famous clock tower, easily reached from Galatas. Kalavria is the larger 'island' that has the ancient sanctuary and temple of Poseidon at Palatia, and is linked to Sphairia by a bridge that connects the two over a narrow isthmus. 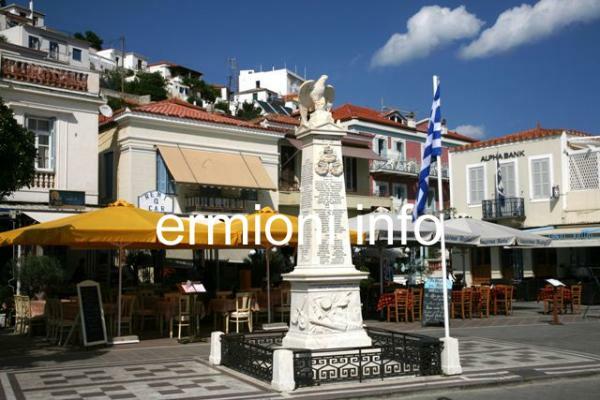 Upon approaching Poros, visitors will automatically see the large historic clock tower overlooking the town. This impressive clock tower was built in 1927 and is surrounded by pear and pine trees. The island of Poros is cosmopolitan and vibrant and has been classed as the island of 'peace and romance'. There are many tavernas, cafes, bars and tourist souvenir shops, which are spread along the harbour front and backstreets. 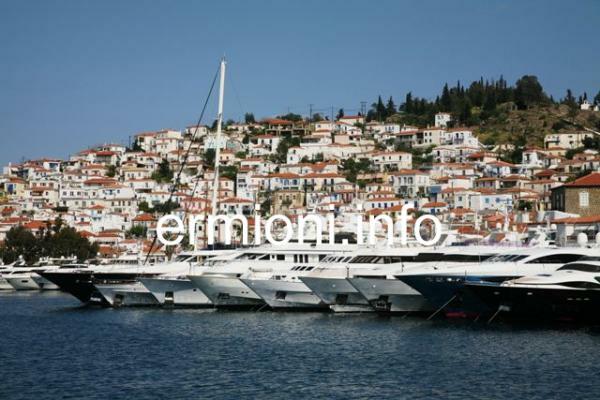 Poros gets busy with thousands of international and local visitors during the summer period, many arriving to the island by yachts and sailing boats. Visitors may wish to explore the island, so a good starting point would be at the town centre where one can find the small but interesting Archaeological Museum in Korizis Square (open daily 09:00-15:00 except Mondays) its exhibits include finds from ancient Kalaureia and Troezen (Trizina). On the outskirts of the town, there are the Greek Military Naval facilities, the Progymnastirio, which was the first official residence of Othon, who was the first appointed King of Independent Greece following the Greek War of Independence. The picturesque church which is dedicated to the Virgin Mary, called the Monastery of the Virgin, is on a hilltop setting above the sea. It is inhabited by monks who tolerate tourists, as long as they are discreet in their dress code. Continue towards Palatia, where the late 6th Century BC ancient sanctuary and temple of Poseidon can be found, however, only the foundations and column bases remain due to a large earthquake that destroyed the whole sanctuary around 395 AD. Most of the stone and marble from the ancient sanctuary was used to build many of the churches on the island. The cultural festival of Poros takes place from mid-July to mid-August, during which traditional folk dances, live music, shadow puppet shows and theatrical plays are performed all around the town. Henry Miller, the American writer, wrote fondly of Poros in his famous book "The Colossus of Marousi". 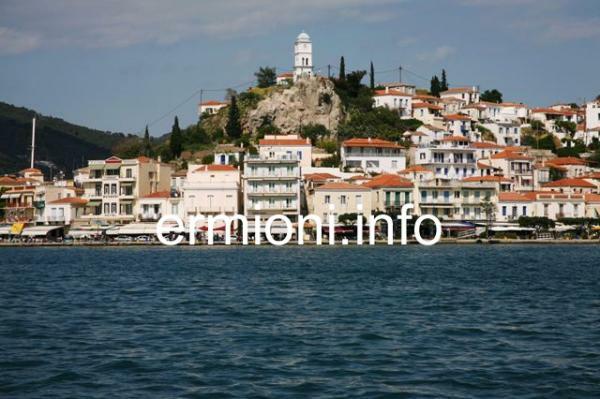 BY ROAD - If you wish to drive to Galatas from Ermioni and explore this small town, then one can visit Poros this way. The scenic coastal road takes you alongside the island of Hydra, around the headland and down into Galatas, the journey time being approximately 50 minutes. Upon arrival to Galatas, ferry tickets for Poros can be purchased from the small kiosk, which is situated near the ferry crossing-point, and should be purchased prior to embarking on the shuttle ferry service. The ferry departs from Galatas every 30 minutes. Tickets cost approximately 1 Euro per person, one way. Cars can also be taken across on the ferry, the cost is approximately 6.00 Euros, which includes the driver. There are also traditional motor-boats that leave Galatas and cross over to Poros every 10 minutes, or when they are full, the cost is 1 Euro per person, one way. There are ample car-parking spaces available close to the ferry boat and motor-boat crossing points. The sea crossing by ferry takes about 5 minutes, across the 350 metre stretch of water to Poros. The traditional motor-boats are even quicker. BY SEA - Tickets for travelling to Poros by sea can be purchased from Pop's tourist office in Ermioni, Tel: 27540 31514, prior to travel. Check hellenicseaways.gr/en for actual sailing times. The Flying Dolphin or Flying Cat will stop at Hydra island first, then Poros. 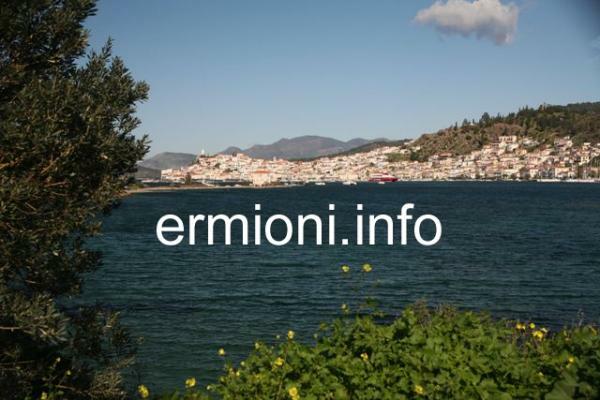 The journey time from Ermioni to Poros is approxiamately 1 hour. Tickets cost 16.50 Euros per person, one way.